Recently, I wrote an article on lost causes on the Left. I began it with this quotation from a civil rights activist in the mid-1960’s: Mel Leventhal. Everything meaningful that’s ever happened in the world, any change, any improvement comes about because of optimism. The pessimists don’t get anything done. They’re naysayers. You have to see the potential for change. And you’ve got to see it not in terms of the moment but in terms of the long view, the long haul. The clock cannot be turned back to a preindustrial age. Not only would the masses not permit such a drastic reversal of their expectations for a rising standard of living, but return to an agrarian world would mean the starvation and death of the great bulk of the current population. We are stuck with the industrial age, whether we like it or not. … But if that is true, then the cause of liberty is secured. 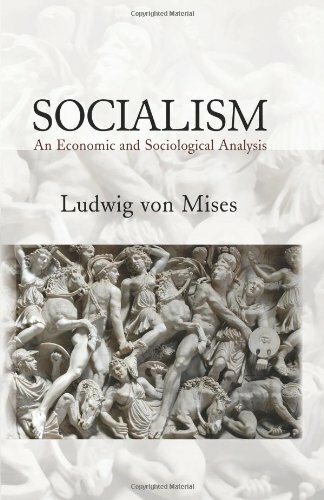 For economic science has shown, as we have partially demonstrated in this book, that only freedom Socialism: An Economic... Ludwig von Mises Best Price: $29.99 Buy New $97.24 (as of 04:35 EDT - Details) and a free market can run an industrial economy. In short, while a free economy and a free society would be desirable and just in a preindustrial world, in an industrial world it is also a vital necessity. For, as Ludwig von Mises and other economists have shown, in an industrial economy statism simply does not work. Hence, given a universal commitment to an industrial world, it will eventually — and a much sooner “eventually” than the simple emergence of truth — become clear that the world will have to adopt freedom and the free market as the requisite for industry to survive and flourish. Back in 1922, the mentor of Rothbard, Ludwig von Mises, wrote this of socialism. Nothing has helped the spread of socialist ideas more than this belief that Socialism is inevitable. Even the opponents of Socialism are for the most part bewitched by it: it takes the heart out of their resistance. The educated person is afraid of appearing unmodern if he does not show that he is actuated by the social spirit, for already the age of Socialism, the historic day of the fourth estate, is supposed to have dawned and everyone who still clings to Liberalism is in consequence a reactionary. Every triumph of the socialist idea which brings us nearer to the socialist way of production is counted as progress; every measure which protects private property is a setback. The one side looks on with sadness or an even deeper emotion, the other side with the light, as the age of private property passes with the changing times, but all are convinced that history has destined it to irrevocable destruction (Socialism, pp. 282-83). 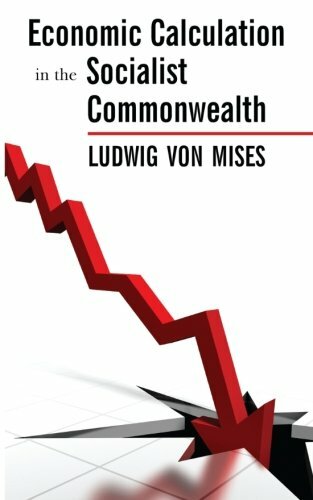 Economic Calculation i... Ludwig von Mises Best Price: $10.00 Buy New $9.95 (as of 08:05 EDT - Details) More than anyone in the 20th century, he believed that socialism would fail. In 1920, he wrote his classic essay, “Economic Calculation in the Socialist Commonwealth,” in which he showed that socialism is inherently irrational and blind with respect to economic planning. Socialism allows no free market in consumer goods and capital goods. Therefore, socialist planners are completely blind with respect to what the prices of anything should be. His book on socialism, published in 1922, is a 600-page extension of this idea. Here is how he ended his book: “Not mythical ‘material productive forces’, but reason and ideas determine the course of human affairs. What is needed to stop the trend towards socialism and despotism is common sense and moral courage.” (p. 586). In 1979, Deng Xiaoping surrendered to the worldwide visible proof of Mises’ insight, and he allowed the privatization of much of the agricultural economy. That was the end of Communist economics in China. Then, on Christmas Day in 1991, Gorbachev announced the demise of the Soviet Union. That ended the experiment in socialist economics outside of Cuba and North Korea. Socialism as an idea is essentially dead. Marxism is, too. Mises understood that socialism is inherently irrational, and seven decades after he wrote this, socialism collapsed in complete defeat. We are not about to enter a dark age. We are about to enter an age of greater liberty and wealth. It is time to watch Hans Rosling’s video once again. We had better watch it at least once a year. The free market is doing its work. Personal responsibility, private ownership, the right to trade, and optimism about the future has steadily increased in the West and the rest. The last 200 years are the forerunners of the next 200 years. If you want to see this in one photo, here is the Korean peninsula. I realize that there are Christians out there who do not accept this. They reply: “I don’t care what Mises said, or Rothbard said, or Rosling said. The Bible teaches that things will get worse and worse until Jesus comes again.” No, actually, it doesn’t teach this. For evidence, click here. For more evidence, click here. Reprinted with permission from GaryNorth.com. Your Best Bet Against Cyberterrorism?